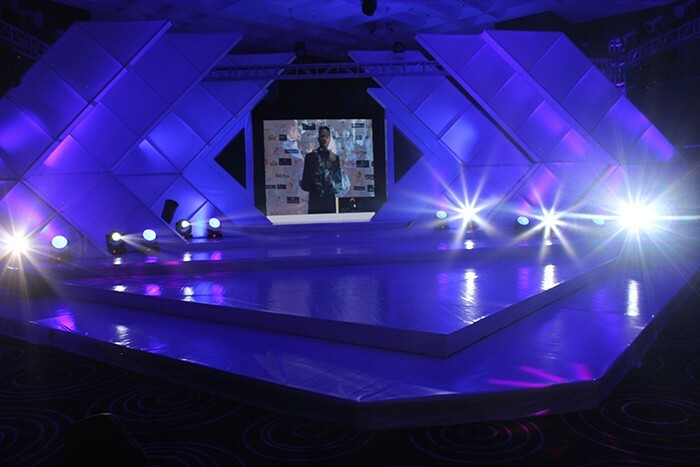 Although only one year old, Mark Osho’s Megavision Lighting was contracted to deliver a spectacular set for this year’s Miss Nigeria pageant in Lagos — the 38th edition of this annual event. 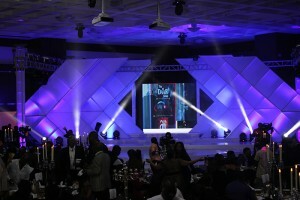 Held at the Intercontinental Hotel, Victoria Island, in front of 2,400 of the country’s leading A-list VIPs, celebrities and socialities, Osho himself based much of his lighting design around PR Lighting effects — using six each of the XR200 Beam and XLED 1037 to create the impact, along with four XLED 336 and 12 Xpar 348. Each of these fixtures boasts a different attribute. The XR 200 Beam derives its incredible moving beam output from a Platinum 5R lamp, while the XLED 1037 — a recently introduced LED moving head — is characterised by the use of 37 x 10 Watt RGBW LEDs (containing four colours in one). The XLED 336 is small, super bright, compact LED moving head while the Xpar 348 is a low-noise energy saving version of the traditional analogue par can. Working within a set designed by Bolaji Durojaiye of Equally Diverse Solutions, the fixtures were mounted on three sided trussing, measuring 5m (H) x 9m (W) x 13m (L) and mixed with discharge and other LED bars, helped deliver a vibrant colour canvas of blue and purple. The show itself was run from an Avolite Pearl Tiger 2010 console. According to Mark Osho they believed it was the event’s best ever lighting production in its long history.